My favourite ride. The Dunwich Dynamo. How to ride this overnight beauty from London through the small hours to the Suffolk coast? Smile. Not that you’ll need instruction. For you’ll smile involuntarily throughout this glorious night ride. The Dunwich Dynamo is a free group ride, a sportive without the structure and racing mentality. A joyous 112 mile conga line of blinking red lights. Bikes wrapped in fairy lights, a festival atmosphere along the route, the odd moment when you question your own sanity. Why am I riding in the middle of nowhere at 3am? Oh yeah, because it’s amazing! I’ve written previously of the mystical beauty of night riding so this was going to be a photo blog. Alas I was too busy enjoying the ride to take photos so in the true community spirit of the ride I’ve had a little help from the spirited bunch who shared this joyous night. Say hello to your new best friend. Caffeine. Not sure you should go for a 100 mile plus ride at 9pm? Caffeine. Not sure how you’ll make it through the dark hours just before dawn? Caffeine. Not sure how you’ll make it to work Monday? Well, you get the picture! Or perhaps something a little more custom. The route is mostly flat with a few rises and kickers here and there. The odd sensation of hitting a hill unexpectedly in the dark is quite something. The route is on very quiet country lanes, single track towards the end. The start from Hackney can be a little chaotic with so many riders and cars so take it easy and respect drivers and fellow cyclists. Here’s a quick link to the route on Strava. Perhaps the greatest challenge of the Dunwich Dynamo is getting back. There are coaches which can be pre-booked. They leave late and can mean you’re hanging around when all you want is sleep. Spots on the train are limited. Many drive up and leave their car somewhere before getting the train back. The nutters simply ride back (on my bucket list!). This is not a club ride. It’s not a race. It’s a celebration of cycling. 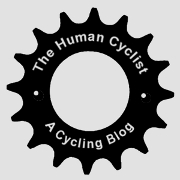 Hybrids, single speeds, racers, recumbents. This is a night to enjoy, to bask beneath the glow of the full moon, to marvel at the colourfully lit bikes, to get lost in an enchanting meditative bliss of blinking rear lights. Sure some race. Some ride there and back. Both are achievements and both are acceptable so long as you’re mindful of others. For this is a ride to take gently. You might need something stronger than the 400 lumens front light pictured here for the really dark lanes near the end. My first dunrun was with a front light so weak it was like navigating with a lit match. This year I had 800 lumens which is brighter than lightning. The light was on half-beam for the majority of the ride but that extra floodlight burst is handy when travelling down hill on dark narrow lanes. Enjoy a pint (don’t carried away now! ), get acquainted with the queen’s of the night (there was a drag show on at the pub this year), or simply soak up the atmosphere at London Fields. There’s usually a lovely tailwind on this ride, a gentle push from nature all the way to the beach. At times this year it felt like I was hardly pedalling. The feeling of speed is emphasised in the dark too. Flying! The ride is always timed to coincide with the full moon. Another helping hand from mother nature. Pop-up shops and bacon butty mobiles dot the route near the end. Locals come out of their houses with a glass of rosé and a cheer. Enterprising kids set our their lemonade stall. Not bad for an unorganised event! Happy 26th anniversary to the #DunRun today! Get ready for next year of course! Sounds awesome….and a bit frightening. I won’t put it on the official bucket list…yet. However, after it rattles around in my brain for a while, I might have to include it. Safety in numbers Anthony! You’ll be surprised riding through the night is probably safer than the day! Fewer cars and a little caffeine goes a long way! Highly recommend. Bravo – I chap I sometimes ride with at the club did this year’s Dynamo on a single speed, riding from home (west of Oxford) and back in under 27 hours … and I thought I was mad. Wow that’s very impressive. I rode with someone on a fixed gear for a little bit and he was motoring. The origin of the ride is meant to be when fixed gear messengers got together so it’s true to the spirit. Blogged about last year’s event. So glad I did it, but it’s a long way down from Scotland! Respect for travelling down. Hope it was worth it. There’s a similar ride started of Bristol way too, the Exmouth Exodus. I’ve always enjoyed the mystery of cycling at night ever since I was little kid, with huge lights and massive batteries that last about ten minutes! Well worth it, quite hypnotic at times. We’ve got the ride to the sun which I keep meaning to do some time, Carlisle to Crammond in Edinburgh. Ha ha, indeed. Live my sleep too. This year I was a bit cycle-lagged for a few days after this one. Not recommended for those operating heavy machinery the next day! Nice post – really captures this year’s fun! Riders should also check out the Brandeston stop – lovely village that has taken to coming together to helping out the weary and bleary!